Monster Marine is the exclusive distributor of Rooster Sailing gear, Sharx shoes as used in the Volvo Ocean Race, Ribeye RIBS and aluminium-hull tenders from the UK, Aer tenders from Italy with a unique folding transom and Outboard Covers from Australia, approved by all the leading outboard engine manufacturers. If you would like to find out more information or buy any of these products contact Monster Marine for details. Monster Marine’s objective is to seek out high quality, competitively priced marine products, unique in some way, which we distribute throughout Hong Kong and other parts of Asia. Monster Marine is not driven by financial gain - we genuinely love what we do and the products we are associated with! 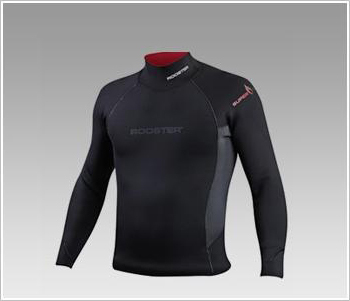 Rooster sailing gear can be purchased through our on-line shop www.monstermarine.com.hk where you may pay with a credit card if you wish and have the gear delivered to your door. Alternatively, if you would prefer to take a look first and try for size at our office in Wanchai or meet in the Clearwater Bay area, we would be happy to arrange this if possible. Please note we do not have a physical shop – otherwise our prices would be much higher - and if you decide to collect your order payment must be in cash only. A limited amount of Rooster gear is also available for sale at selected private clubs and retails outlets. Contact Monster Marine for details. So – if you are searching for great quality sailing gear at an affordable price, or you need to replace your tender or upgrade to a RIB, what are you waiting for – contact Monster Marine now? !